Johnnie To brings his carnage to a hospital in this thriller that centres around a cop, a robber and a surgeon, hence the title Three, but will this latest Cops and robbers in a hospital get your heart racing or will it die on the operating table. Shun (Wallace Chung) is brought into hospital by Inspector Chan (Louis Koo), in the course of capturing him its evident that the inspector has shot Shun in the head and needs to find out where the rest of the gang are, so brings him to hospital where a Dr Tong (Vicki Zhao) is keen to save Shun, being a brilliant surgeon and has a moral duty to save any patient that is brought to hospital. Dr Tong, a brilliant surgeon, has made some questionable decisions recently and one of the patients on her ward is paralysed due to her mistake in the operating theatre, driven by a sense of guilt and moral code she is determined to save Shaun no matter what it takes. 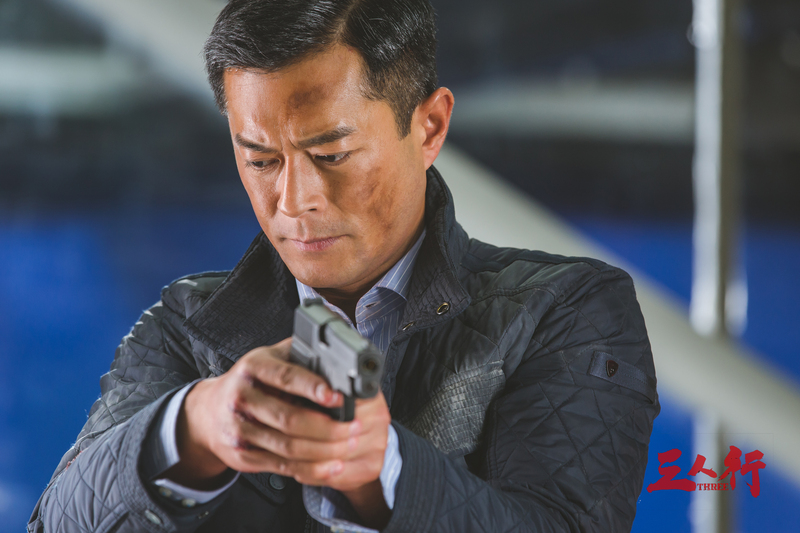 Inspector Chan is determined to find out where the rest of Shun's gang is so he can bring them to justice. Finally Shun is determined not to have the surgery until he has contacted his gang and get them to break him out of the hospital. Three peoples, Three plans, Three different paths that will all come together in an explosive finale that will decide everyone's fate. Ok lets get this out the way its yes a gangster type movie, so tick in the box for those wanting Johnnie To to bring us something back from that genre, but this is a slow burn thriller that takes its time to reach its inevitable climax. 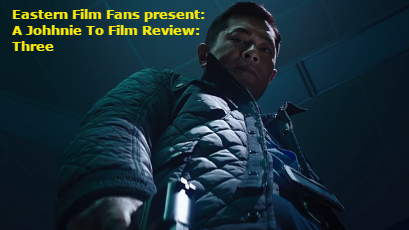 Louis Koo plays the steely eye cop on a mission a man of principles and by the final scene a change perhaps, Vicki Zhao as the brilliant surgeon with conflicted but a moral duty that generally just gets in the way of a cop trying to bring to justice a gang of criminals. Finally a Robber who spouts philosophy but maybe should think about how to get out rather than how to start a massive gunfight in a hospital ward. Its the finale the gunfight that really lifts this feature, the ballistic beauty of the gunfights and the slow motion madness just grips you, even if some of the patients actions are questionable, the scene if at full speed would probably be over in 30 seconds but Johnnie To goes slow mo and shoots the scene in one hospital ward zooming into a certain shot or a blood squib its almost enough to bring Three out of good to great, but not quite. Its a return to the genre that we all love Johnnie To for and even if its not his best work its a joy to watch a master of his art paint such a wonderful painting on his canvas of film.